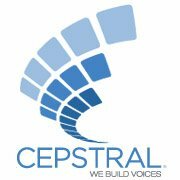 Cepstral Community • View topic - How do I made the voice sound excited? I have been trying to twig the intonation of Allison's voice so that she sounds excited. For example, when she says "good job! ", her voice should not only have a higher pitch but also have stresses to make her sound really happy. I tried pitch contour but it changes the voice to a man's voice. Does anyone have any good suggestions? Thanks! Re: How do I made the voice sound excited? swift -n Allison "Thank you for completing the task. <emphasis level='moderate'><prosody pitch='+40%' volume='loud'>Good</prosody> <prosody pitch ='+25%' volume='x-loud'> job</prosody></emphasis>"
That is a good solution.Thank you! But is there a shorter way to do this? Besides, for different sentence, I have to tune it differently and this might be time-consuming as I have a whole script to do. I might just be super picky but please bear with me. Unfortunately there is no quicker way to do this. Unlike humans, text to speech engines (not just ours!) have trouble determining how something should be said based on context. This is why you have to tell it how to say things with SSML. I know that at the moment this is a rather time consuming process, and we are investigating ways to make it faster and easier for people to get our voices to sound exactly like they want. If we were to write a program that helped people sculpt our TTS engine to say things how they would like, would you have any features in particular you would like to see? We would be happy to note them and attempt to implement them in the future if we do decide to build such a tool. Sorry for the disappointing but be sure that we take any customer feedback under heavy advisement when developing new features and programs. Using a competitor's software named l.....o it's easy to change the intonation using ! and ?. I would have expected Cepstral to do the same..will you guys look into it in the future? I've been looking at something similar; trying to make the voices sound a bit more natural in their intonation. As far as I can tell the contour SSML tag is going to be the best way to do this but as OP said this changes the voice drastically. Does this mean the contour tag is simply unsupported or is there something I'm doing wrong?